Take in the breathtaking lake views from the covered front porch of this remarkable home offering 4,490 square feet of living. 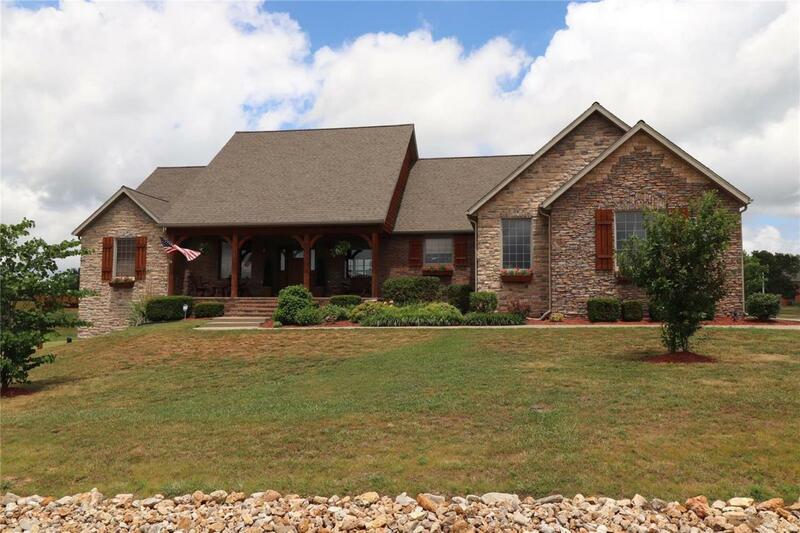 Situated in The Lakes Subdivision, just one mile from the Lebanon city limits & a short drive to the Lake of the Ozarks. This home features 4 bedrooms (5 if desired), 3 bathrooms, a formal dining area, breakfast room & kitchen with granite countertops. A split bedroom floor-plan on the main level offers a huge master suite with double vanities, jetted tub, separate shower & spacious walk-in closet. The full basement offers a second living area, a den (that could easily be made into a bedroom),a game room, bar area, and full bathroom, with lots of room to spare. Enjoy coffee on the pergola covered patio or barbecue out on the private back deck. Beautifully landscaped and ready for you to call it "Home.